Help Give back to Morey while you shop! It’s that easy. 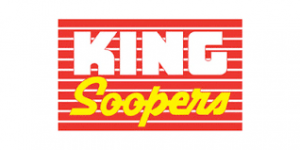 Do you shop regularly at King Soopers? Contact Friends of Morey at friendsofmorey@gmail.com to pick up a reloadable King Soopers card, It takes just $5 to get started and Morey earns 5% on all gas, grocery and liquor purchases. Then, you add the amount to the card that works for you and shop away! Do you shop regularly at Safeway? Contact Friends of Morey at friendsofmorey@gmail.com to pick up a reloadable Safeway card, It takes just $5 to get started and Morey earns 5% on all gas and grocery purchases. Then, you add the amount to the card that works for you and shop away! Anytime you purchase a product with Box Tops, make sure to clip it, save it and bring them to Morey when they accumulate. It’s that easy.